Apple's App Store rules have resulted in the removal of iOS download discovery service AppGratis, which may have violated a newly instituted restriction on promotion. AppGratis billed itself as "a friend that talks apps." Its team worked with 6,000 app developers from around the world to highlight notable software for AppGratis users. Now TechCrunch reports that the download has disappeared from the App Store, with no comment either from Apple or AppGratis. Current speculation holds that AppGratis' promotion model may have been found to be in violation of a recently-added App Store rule forbidding "apps that display apps other than your own for purchase or promotion in a manner similar to or confusing with the App Store." It is unknown whether or not this is exactly the case, though a number of other similar software options have been removed since Apple made that addition to its App Store rules. 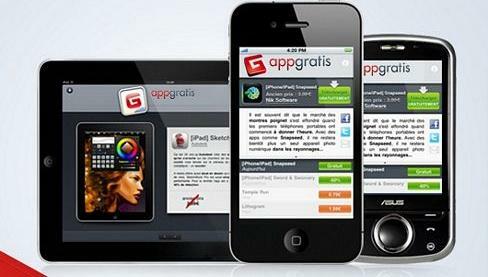 According to the company blog, AppGratis served more than 10 million users before its removal. It also drove more than one million app installs per day for its app partners. In January, the company announced that it had raised $13.4 million in Series A funding from Iris Capital and the Orange Publicis fund. Update: On Monday, Apple confirmed to AllThingsD that AppGratis had been removed for violating not only clause 2.25 of the App Store Review Guideline  the clause stipulating that apps cannot promote other apps similarly to the App Store  but also clause 5.6. Clause 5.6 states that "apps cannot use Push Notifications to send advertising, promotions, or direct marketing of any kind. AllThingsD cites sources close to Apple as saying that Apple was "more than a little troubled that AppGratis was pushing a business model that appeared to favor developers with the financial means to pay for exposure. 'The App Store is intended as a meritocracy.'"